Born in Summit, New Jersey in 1955, Elizabeth Harrison Reed was first introduced to the creative process by her mother, an accomplished painter. From her earliest years, Reed was drawn to a wide variety of artistic mediums including sculpture, collage, print-making and painting and received awards from local and state associations for her work Upon attending Boston College, where she received her B.A. degree in Psychology in 1983, Reed was inspired by the Boston and New York fine arts communities and began to dedicate herself to oil painting. Primarily self-taught, Reed's real growth occurred after moving to Lexington, Kentucky with her husband and four children in 1985 where she found herself surrounded by the lush landscapes and beauty of the Appalachian countryside. "Although there is significant poverty in Appalachia, there is also some of the most dramatic countryside in the United States", says Reed. "The verdant foliage, endless sweeping hills, the quality of the morning mist and the late afternoon sun ... have spurred me to capture it through my printmaking." 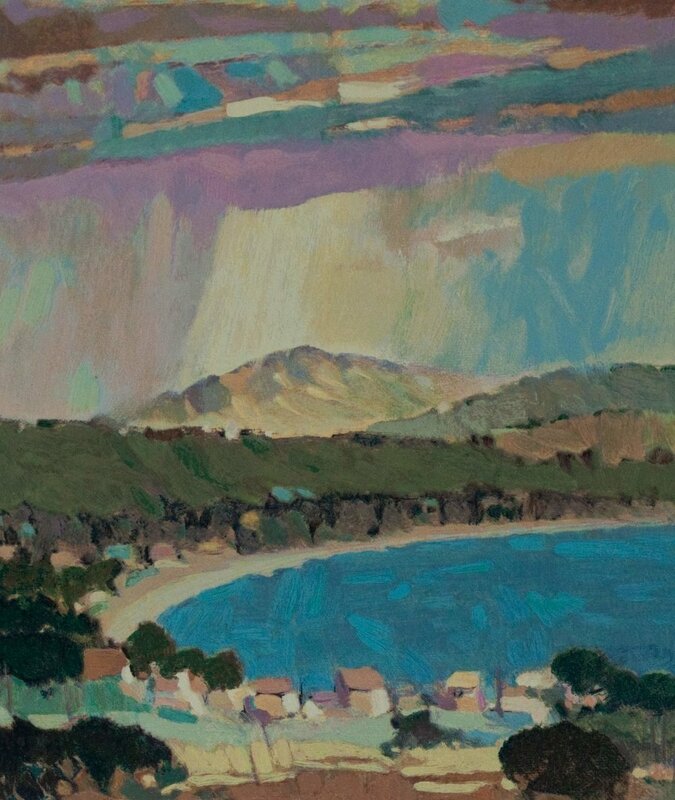 Reed's landscapes are rendered in an impressionistic style, depicting soft images filled with light and colour. "My formal art education is very limited, but I feel that I have been successful in communicating my feeling and my ideas in such a way that people will find my work pleasing and peaceful to live with in this day and age where life seems to move so fast."